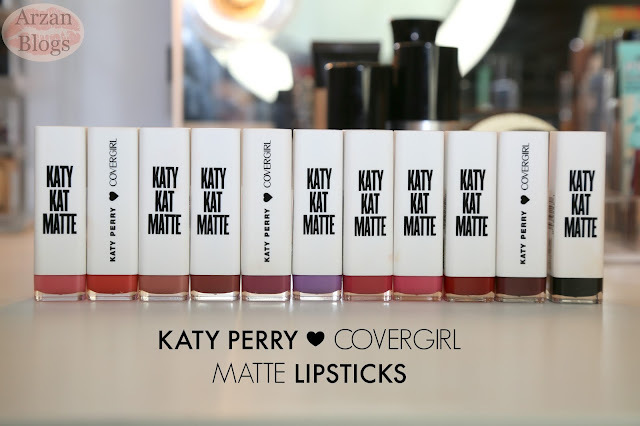 Katy Perry collaborated with Covergirl and created Katy Kat Collection, which consists of 11 lipsticks and 2 mascaras (Black and Perry Blue). 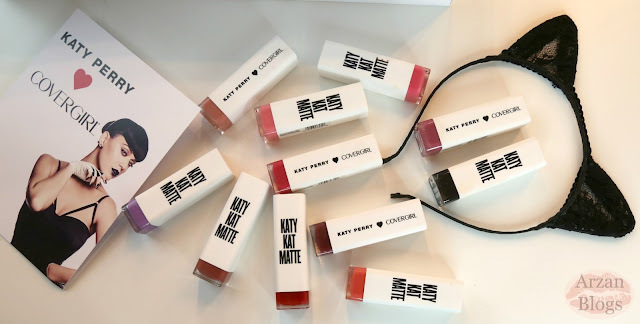 Last week I got a PR package from Covergirl with the full Katy Kat Collection. I was so excited to try everything especially the lipsticks. The demi-matte lipsticks are claimed to be highly-pigmented, creamy and moisturizing. I love how the packaging incorporates the cat theme to it. The shades are listed at the bottom in white with cat ears and I like how the names are very different and represent the theme very well. Catoure: This is just beautiful and works well on my deep skintone. Kitty Purry - rosy: This is so pretty! It reminds me of MAC Men Love Mystery. Magenta Minx - bright pink: This is perfect for spring/summer! Cat Call - Fuchsia: I love this shade. It's definitely one of my favorites! Crimson Cat - red: Love this one too. So pretty! Maroon Meow - deep berry: This will be perfect for fall. 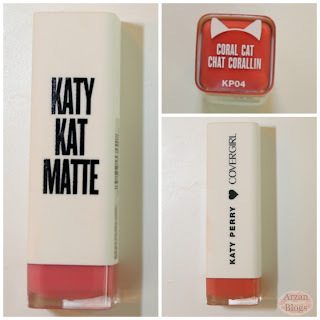 Perry Panther - black: It's Covergirl's first black lipstick. 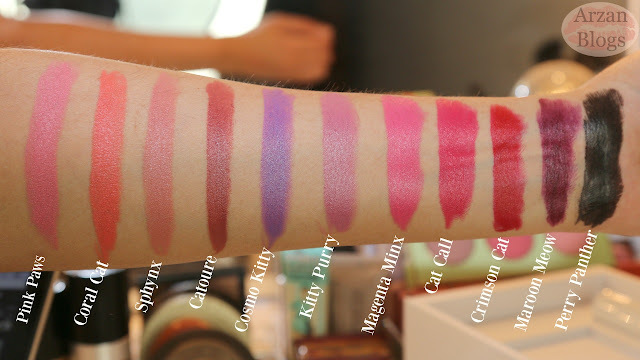 Here are swatches of all of the shades on my arm. 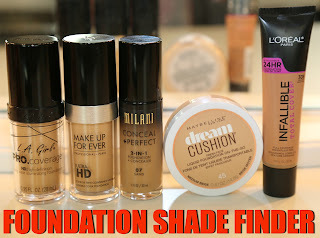 For shade reference, I'm NC40-NC42 in MAC. Overall, I'm quite impressed with these lipsticks. 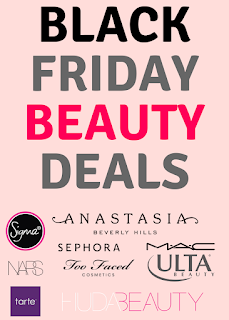 I like the shade range and these lipsticks are pigmented, creamy and moisturizing. These aren't matte though, so they're not as long wearing. 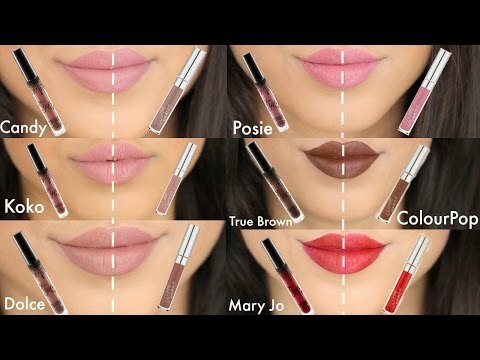 There is a lot of transfer and aren't long wearing but they fade away nicely and most shades leave a stain on the lips. Also, some of the lighter shades (Pink Paws & Coral Cat) were patchy and I had to keep reapplying it. I'd recommend them if you don't mind satin finish but if you're looking for matte lipsticks, then these might not be for you.